With Britain in the starting blocks for the London Olympics 2012, a timely reminder of the last time the city hosted the games is served by a collection of antiques being sold by auction in the Cotswolds. A programme and a set of three tickets for the events held on August 4, 1948 are to under the hammer at Moore Allen & Innocent’s Sporting Sale in Cirencester on Friday, February 3. 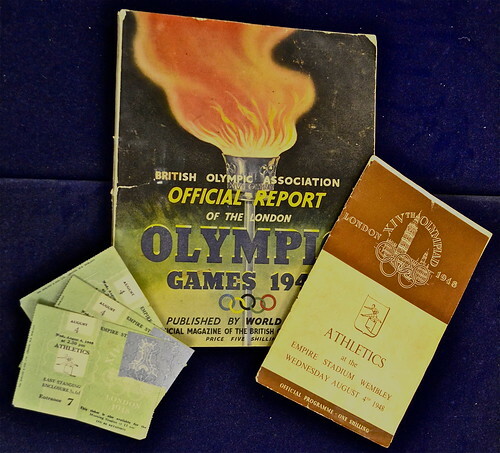 The vendor, who has had the mementos in his possession since the games 64 years ago, would have been able to watch events including the men’s javelin final, the finals of the women’s shot put and long jump, and the 110m metre hurdles, where American athlete William Porter set a new Olympic record of 13.9 seconds. Tickets to the XIVth Olympiad at the Empire Stadium, Wembley cost 3s 6d, while the programme cost a shilling. The lot, which also includes a copy of the retrospective Games report is expected to achieve £30 to £40. From Olympians to Titans, and one of the most highly-prized lots in the auction has connections to the man who built the ill-fated Titanic, the centenary of whose sinking will be marked in April. The Purdey 12 bore side-by-side shotgun, originally manufactured in 1887 with new barrels having been fitted in 1899, is tempting enough to gun collectors. But what makes this one really special is the leather gun case with which it is being sold – which bears the owner’s stamp of G W Wolff, Belfast. Gustav Wilhelm Wolff was the German Jew who co-founded the shipbuilder Harland and Wolff in 1861. Although he retired in 1906, his name – and that of his company – will forever be associated with the RMS Titantic, which sank on April 14, 1912, resulting in the deaths of 1,517 people. The shotgun and case carry an estimate of £1,000 to £1,500. Shotguns were put to good use in the colonies during the 19th and early 20th centuries, and some fine examples of big game appear among the 220 lots of taxidermy. Among the best is a tiger’s head, mounted on a black shield, by the renowned taxidermists Van Ingen of Mysore, which carries an estimate of £800 to £1,000. 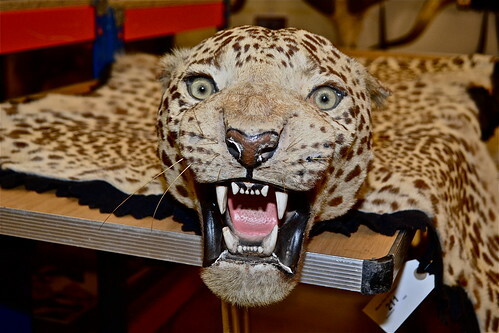 Van Ingen were also responsible for the preparation of a leopard head and skin, which carries a £500 to £800 estimate. The section also includes a large collection of the skulls of wild game, including buffalo, antelope and kudu, all bagged by the same huntsman. Hunting on these shores is also celebrated, with horns, whips and crops aplenty. The picture section features a wide selection of prints by Snaffles, the leading and ever-dependable equestrian artist. Many are signed and some were produced in limited edition runs. 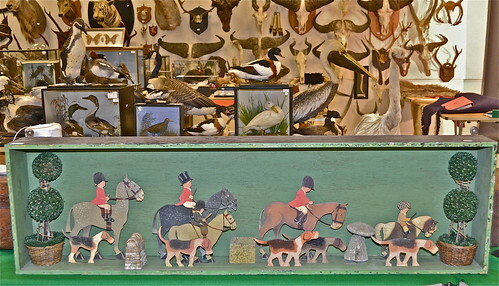 One of the most unusual lots is a cased set of 10 painted wooden figures depicting a hunting scene, designed by the celebrated children’s illustrator Mabel Lucie Atwell. While individual figures pop up from time to time, it is unusual to find the three adult riders, two children and five hounds together in a case. The lot commands an estimate of £300 to £500. And it wouldn’t be a sporting sale without a fishing section. The auction includes a good selection of rods and reels, featuring big names like Hardy and Allcock. Among the most interesting to collectors is an early 20th century Spinneret thread line reel – the forerunner to the modern fixed spool reel – by Allan of Glasgow, which should fetch between £100 and £150, and a mint condition circa 1960 Match Aerial reel by Allcock in maker’s box, which is also valued at £100 to £150.